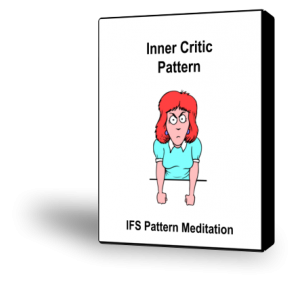 If you have the Inner Critic Pattern, it means there is a part of you that judges you, demeans you, doubts you, and tells you who you should be. It undermines your self-confidence and makes you feel bad about yourself. Your Inner Critic is responsible for feelings of worthlessness. When you feel ashamed, hopeless, inadequate, or just plain awful about yourself, it’s because your Inner Critic is attacking you. It has a variety of methods, but most commonly, it works by hammering you with negative messages about your self-worth. It may criticize your looks, your work habits, your intelligence, the way you care for others, or any number of other things. Your Inner Critic may evaluate and judge your feelings and behavior and sometimes your core self. It may tell you what you should and shouldn’t do. It may criticize you for not meeting its expectations or the expectations of people who are important to you. It may doubt you and tell you that you can’t be successful. Your Inner Critic may shame you for who you are, or it may make you feel guilty about things you have done.